There exist only a handful of soccer players who are unfairly labeled with a tag or two – in Michael Ballack’s case he was forever scrutinized for being the ‘lucky loser’ or the one with the ‘unfulfilled potential’. All these tags are quite unfair if one examines the stats of the German star, the former Chelsea player is actually one of the finest midfielders in the world. It’s a shame that during his peak playing years he was always part of the team, or captaining it to runner-up positions and trophies. It was only until after Ballack retired that people started noticing what a true asset he was to the game and was surely missed especially at Chelsea. Nowadays Ballack is a star analyst for ESPN Sports channel. 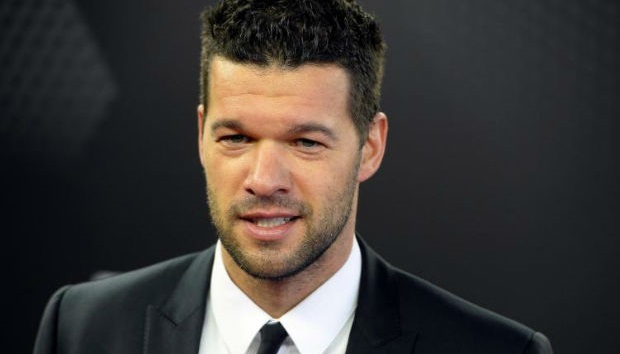 Ballack was born in 1976 in Gorlitz, a small town in Saxony Germany. He was born to an engineer father and a mother who worked as a secretary. It was only when the family moved to Chemnitz when a young Ballack developed a strong liking towards soccer. Ballcka’s surname is of Sorbian origin; his paternal ancestors were of Sorbian descent. Initially a seven year old Ballack started training at an academy for youngsters and joined the Chemntizer FC team; it is here where Ballack discovered the strength of his feet while playing soccer. Soon he got picked for the Germany Under-21 squad in 1996. Within two years he was playing for German side Kaiserslautern which went on to win their first title. Ballack began the bulk of his professional career in 1995 whilst at Kaiserslautern; with him on the team they won four Bundesliga titles till 1998. Later on Ballack joined Bayer Leverkusen where during his debut season he scored 27 goals in the league. It was during his tenure at Bayer that Ballack got voted as German Footballer of the Year in 2002. Ballack has won four Bundesliga titles and three German Cups. He also played a monumental role in winning the Premier League title with Chelsea and three FA Cups. He represented Germany 98 times and also captained the team for several years. When he was playing for Bayern Munich he won three titles in four years – this was before his move to Chelsea. He remains Germany’s top goal scorers so far. Ballack’s strength as an athlete was due to his commanding and physically strong physique. Also owing to his aggressive play style and excellent passing range. He is considered to be one of the best midfielders of his generation. Particularly painful for Ballack was captaining his team to the runner up position where Germany lost out to Brazil in the 2002 World Cup final. Ballack referred to that loss as ‘painful’ and something which he carried with him for many years. Ballack has been named as German Footballer of the Year three times, from 2002, 2003 and in 2005. FIFA included him in their list 100 Greatest Footballers of the 20th Century in 2002. He was also included in FIFA’s World Cup All Star Team in 2002 and 2006. He won the Silver Shoe of the FIFA Confederations Cup in 2005.